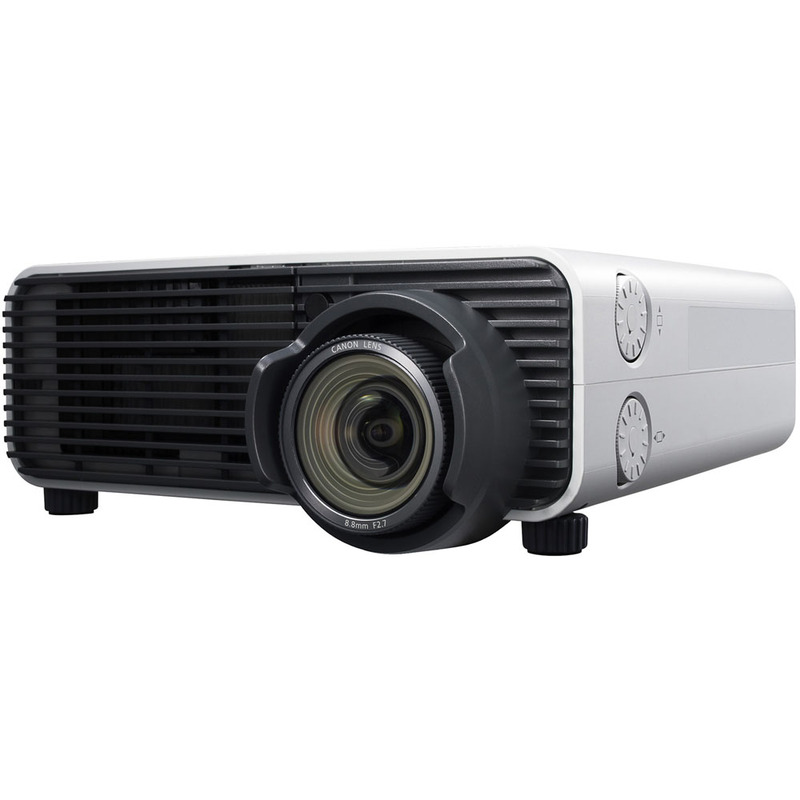 The REALiS WUX500ST Pro AV Short Throw LCOS Projector delivers exceptional image quality with 5000 lumens of brightness and a high contrast ratio of 2000:1 - all enhanced by Canon's advanced AISYS optical technology. Placed just 4 feet from the screen, it produces a large, 100-inch native WUXGA resolution (1920 x 1200) resolution picture for sharp, bright and highly detailed results, with excellent color reproduction and contrast. An impressive short throw ratio of 0.56:1, significant 0-75% vertical lens shift and compact, lightweight design help ensure installation is flexible and convenient, even in tight or constricted spaces. Built-in HDBaseT and Wi-Fi® connectivity also help to make set up simple. The REALiS WUX500ST incorporates an exceptional combination of features, making it stand out in the market as an ideal choice for a variety of uses including museums and galleries, simulation, corporate, government, higher education and more.